With the release of ArcGIS Runtime we are excited to announce mobile scene packages. Mobile scene packages are designed to take your scenes and content offline for use across the ArcGIS Platform. ArcGIS Pro 2.3.2 and a future version of CityEngine are the premier authoring clients. Consuming clients are those running ArcGIS Runtime 100.5. Mobile scene packages allow for clip and ship workflows where you want to package your 3D content and share that content with other users. These packages can be shared to ArcGIS Online or Portal for ArcGIS 10.7.0 and later for easy sharing within and across organizations. 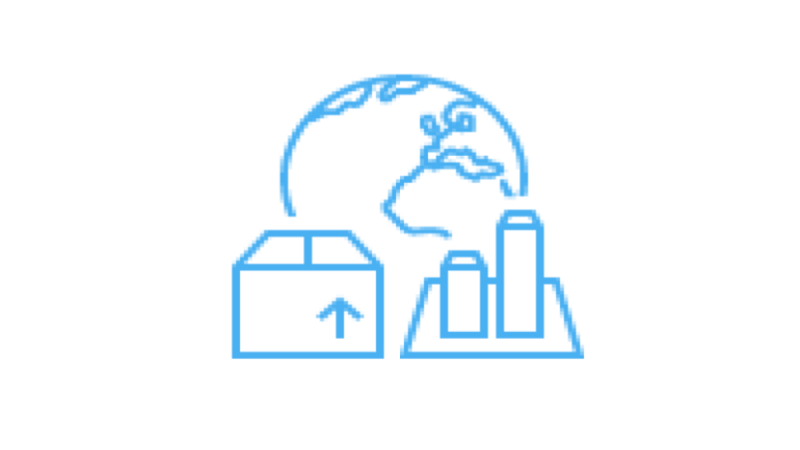 Additionally, these packages can be side loaded onto a mobile device for use in an ArcGIS Runtime mobile app. Mobile scene packages adhere to the Web Scene Specification so detailed information on supported capabilities can be found in the specification. Note: To coincide with the ArcGIS Runtime 100.5 release we recommend all users create mobile scene packages at the ArcGIS Pro 2.3.2 release. 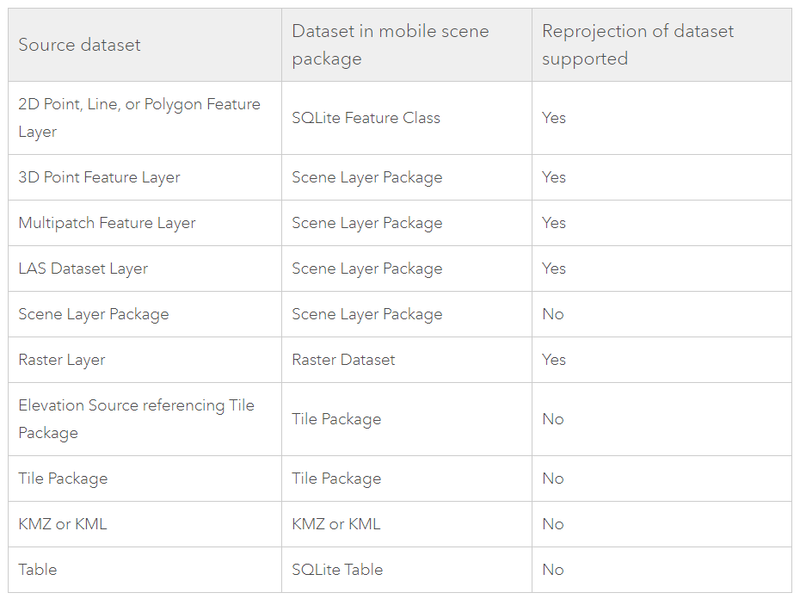 To understand which layers are supported and how they are exported to a mobile scene package check out the table below. Supported input layers and export format in a mobile scene package. In this first release, preprocessing may be necessary depending on what datasets are in the scene. Check out the 5 steps to creating a mobile scene package blog to understand how to set up a scene properly for export to a mobile scene package. Keep in mind that only tile packages are allowed as elevation sources so creating a tile package is necessary prior to running the create mobile scene package tool if using an elevation source. For detailed information on the geoprocessing tool see create a mobile scene pacakage. This blog walks you through 5 steps in creating your mobile scene package.